Enceladus, the icy moon of Saturn known for its spectacular geysers, likely has an ocean of liquid water beneath its surface. 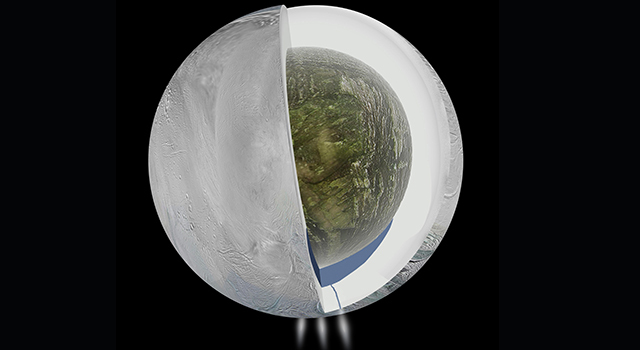 Researchers relied on gravity and topography data obtained by NASA’s Cassini probe in concluding that Enceladus could be the third known outer solar system moon that features liquid water. The ocean is a regional water body near the moon’s south pole. It seems to lie about 30 to 40 kilometers below the moon’s surface, covered by a thick ice sheet, and likely has a depth of about 10 kilometers. 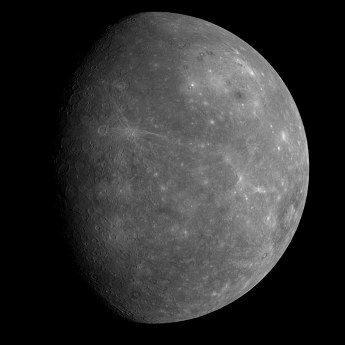 “This means it is as large as or larger than Lake Superior,” David J. Stevenson, a professor of planetary science at the California Institute of Technology and a co-author of the paper documenting the discovery, said. Scientists depended on measurements of the gravity field of Enceladus to infer the presence of the ocean. As Cassini flew 100 or fewer kilometers over the moon’s surface during three flyovers, the spacecraft’s speed changed by a few millimeters per second. The tiny slowing of Cassini was detected by antennae on Earth as the radio waves transmitted by the probe during the flyovers shifted slightly, just as sound waves do as their source moves farther away from a receiver. “The detection of such small velocity variations gave us information about the accelerations the spacecraft was subject to,” Marzia Parisi, an aerospace engineer and research fellow at Sapienza University of Rome and one of the authors of the paper, said. An acceleration of an object can include both an increase and a decrease in its speed. 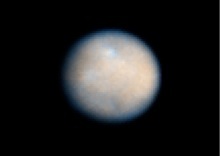 The acceleration of a spacecraft that is flying over a celestial object is affected by a variety of factors, including changes in the object’s gravity. In the case of the Cassini flyovers, another likely impact on the spacecraft’s velocity was drag caused by passing through water vapor plumes that are emitted from the moon’s south polar region. The impact of those factors had to be considered before the research team could conclude that the cause of Cassini’s acceleration change was a fluctuation in mass tied to the presence of liquid water beneath the moon’s surface. Parisi explained that the researchers were able to take account of those factors in their modeling. The data does not explain how an ocean could exist on Enceladus, but it is logical to assume that Saturn’s gravitational pull has a great deal to do with it. One significant implication of the discovery of an ocean on Enceladus is the possibility that it could be hospitable for microbial life. “The added value of our work is that a large, potentially habitable environment has been found in an unexpected place in the solar system, where the energy needed to produce liquid water from ice is not provided by solar radiation,” Luciano Iess, a professor of aerospace engineering at Sapienza University of Rome and the lead author of the paper, said. It is likely to be many years, if not decades, before humanity can find out whether, in fact, microbes exist beneath Enceladus’ icy surface. Cassini will continue to explore the Saturnian system for about three more years. The probe will fly over Enceladus three more times, but will not further investigate Enceladus’ gravitational field to gain further insights into the ocean beneath its surface. Europa, a Jovian moon, and Titan also have oceans, though on Titan it is composed of liquid methane. NASA’s planetary science budget includes funds to plan a trip to Europa. 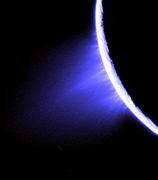 The paper documenting the discovery of an ocean on Enceladus will be published in the April 4, 2014 edition of Science. Graphic courtesy NASA, Jet Propulsion Laboratory-California Institute of Technology. Note the illustration of the hypothesized sub-surface ocean, appearing as a blue region just above the water vapor jets.